At the south end of Main Street sits Mount Kearsarge and her sister mountain on the right, Black Mountain. The woodlands are mixed growth of evergreens and of deciduous, which turn all showy colors in the autumn. Mount Kearsarge is a monadnock, meaning an isolated peak in native language, not a part of a range. 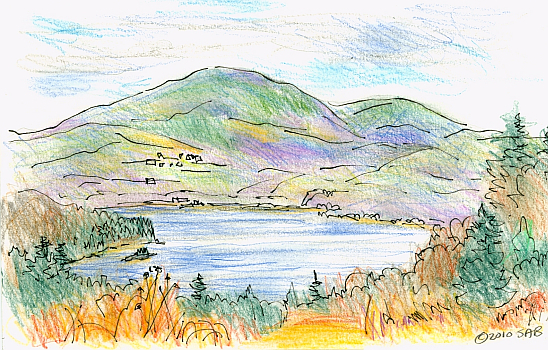 Our beautiful Pleasant Lake is at the base of the mountains. The lake has only one small island called Blueberry Island. 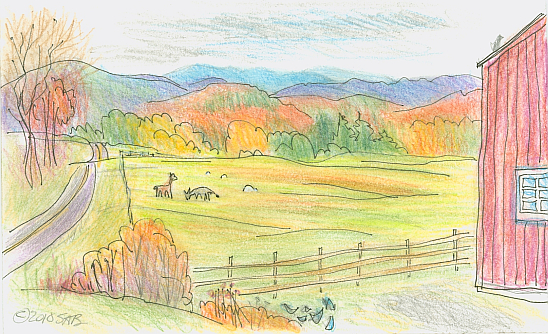 As we travel up Main Street towards the center of the town of New London, we pass by this field. Various animals graze here on most days. On this day it’s a llama, some sheep, perhaps a donkey. The distant hills are almost always a wonderful blue color. 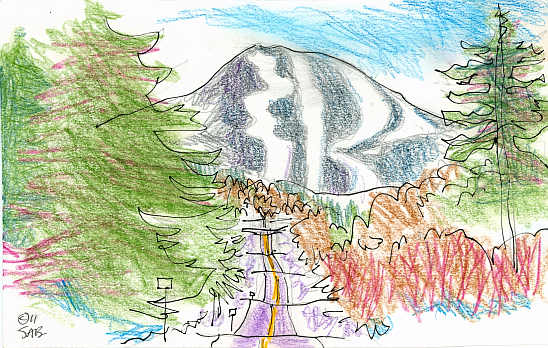 I like to draw and paint in the winter because I can see farther distances through the bare trees. 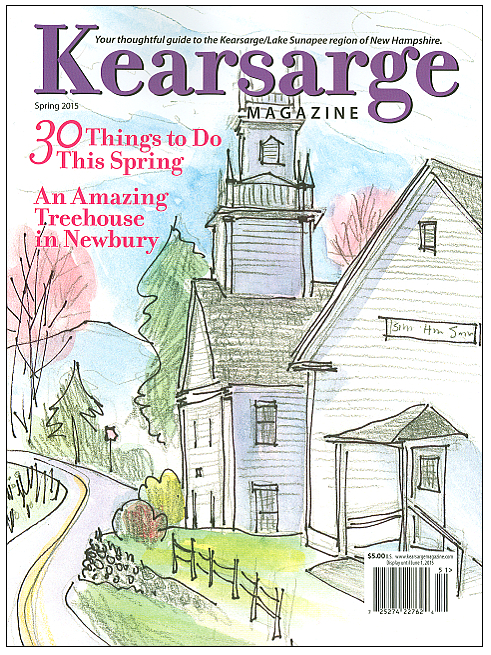 Our local ski resort is called Mount Sunapee. The ski trails are carved out of the end of a long high ridge. I don’t ski. I just draw. 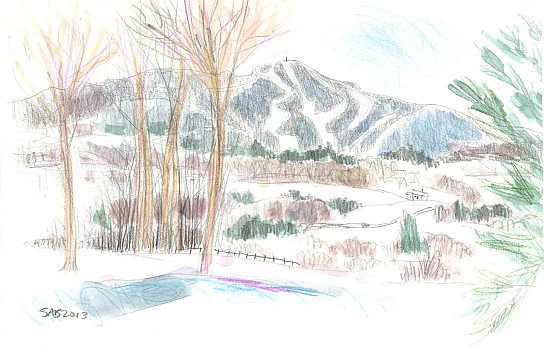 Another view of Mount Sunapee from farther along Main Street. I did have to stand in the middle of the intersection with Pleasant Street to draw this. There was no traffic, and I am good at getting the basic shapes down fast. Halfway up Main Street we have a park called the town green, or more formally the Sargent Common. 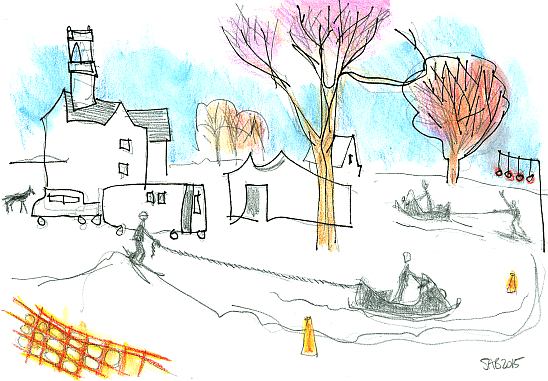 Two winters ago I drew the first day of the winter carnival, where the biggest event was ski joring. Skiers are pulled over jumps, and for added challenge try to grab a ring as they whoosh by. Here it is shown with snowmobiles. It was also done the traditional way with horses. There’s one over at the left awaiting his turn. 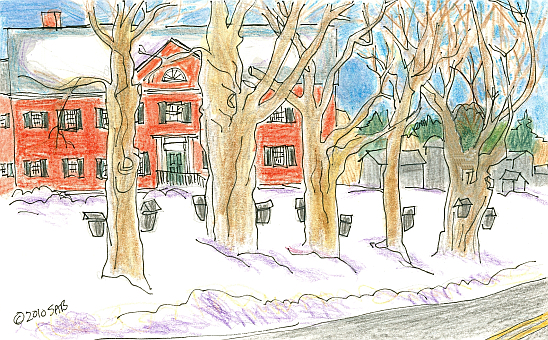 The Colby-Sawyer College campus sits on the high edge of Main Street. The students are usually ages 18-22 and receive a BA or BS when they graduate. There are 1000 students who come here from around the world. 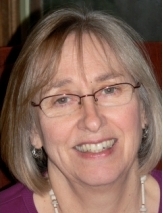 The school of nursing is one of the most highly regarded curricula I believe. One class teaches the science of making maple syrup. Those are traditional metal sap collecting buckets attached to the sugar maple trees. The sap starts to flow in March when the days warm a bit. This is considered the first sign of spring, the sap buckets. Spring is often late and merges right in with the beginning of summer. Forty pounds of sap must be boiled down to get one pound of maple syrup. There are newer methods for doing the whole process. Our town library is in a former home. The yellow clapboarded wooden building was also once the town hospital. A modern addition juts off the back on the left. Our small town has no need for stop lights. Farther up Main Street we have a new roundabout, or as they used to be called, a rotary. But that is only a word used in New England. Elsewhere, they were called traffic circles. 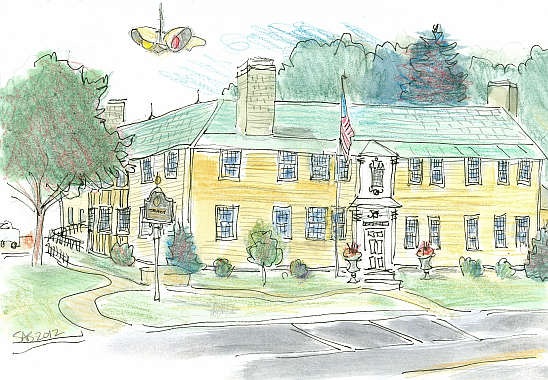 I drew the traffic light which blinks red on Pleasant Street and yellow on Main Street. 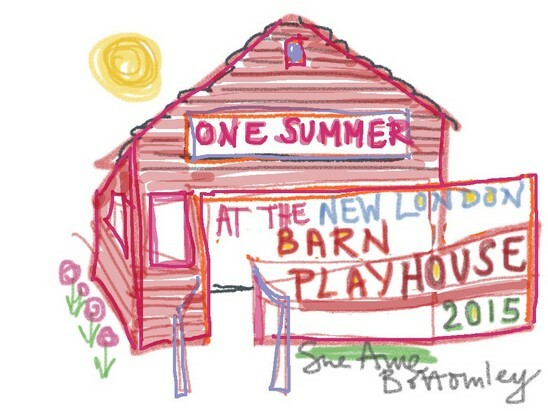 Two summers ago I drew the New London Barn Playhouse. 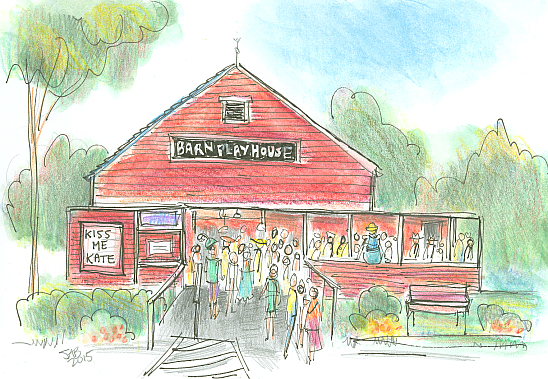 The wooden cow barn became a playhouse in 1934. Playhouse is an American word that means live theater. After each performance, the actors gather on the porch as the audience streams out. Seasoned professional actors come to New London to perform with the summer interns: 16 young actors from around the country. They are usually aged 18 to 22. 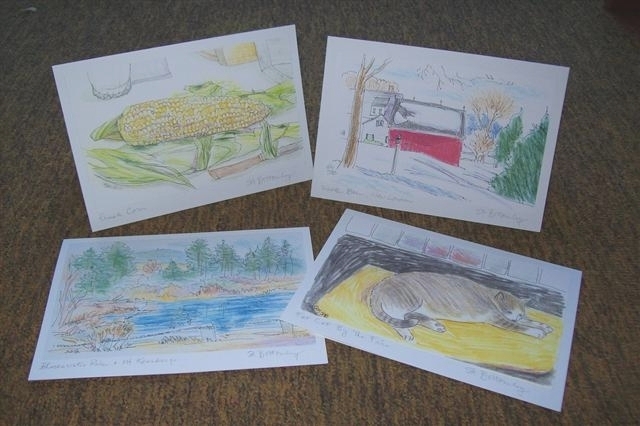 You can learn more about The Barn from my Summer 2015 project of drawing behind the scenes, available at this link here on the blog. Continuing up Main Street we get to Spring Ledge Farm. 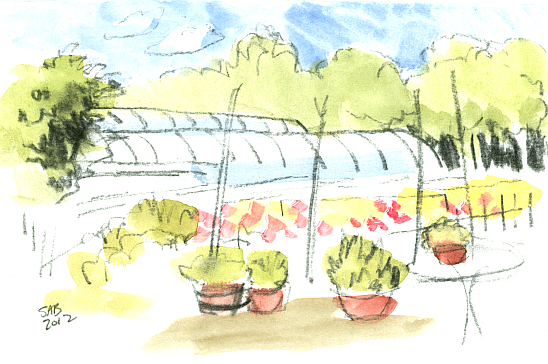 Vegetables, flowers, and herbs are grown from seed in greenhouses and in several fields. 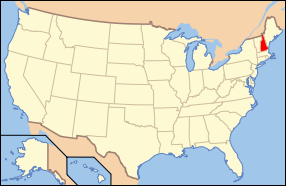 The land is preserved as land for agricultural purposes only. I feel that we all need a flower come January or February. 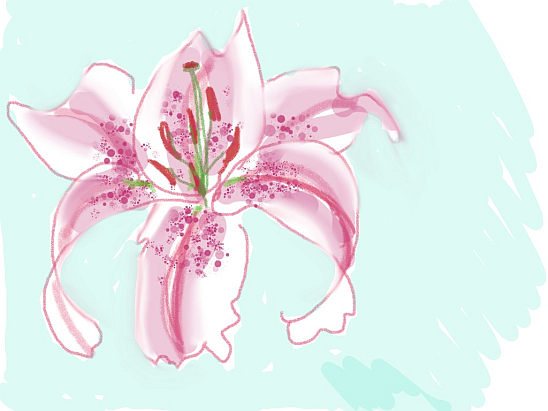 Here is a Stargazer Lily drawn with a digital app on my iPad. My left index finger pushed around the colors made of pure light.